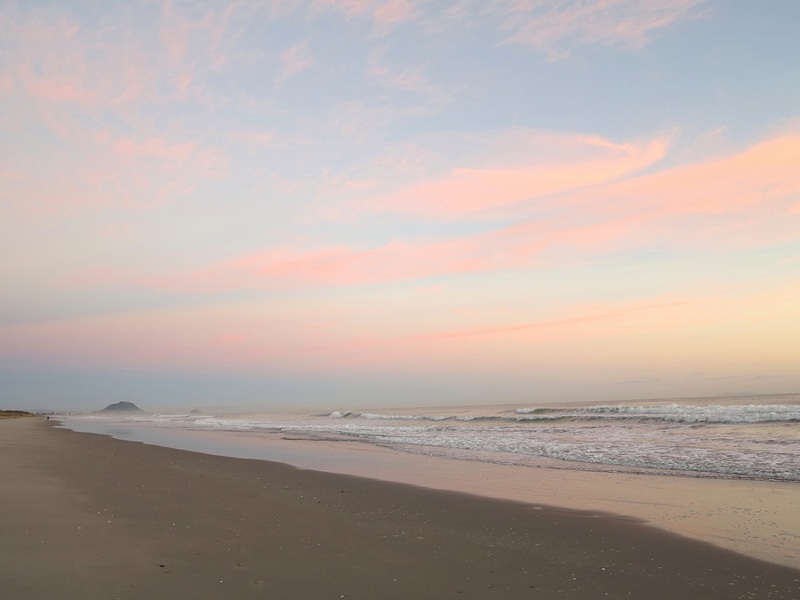 Pastel Sunrise on Papamoa Beach, Bay of Plenty, New Zealand. March 2014. What? Greeting Mondays with gratitude and memories of dreams come true. How? Sharing a favourite 2014 holiday photo every Monday in 2015. Why? Cos I don’t like Mondays so I’m going to fight them with sweet moments. This entry was posted in dear monday, inspiration, Photography, travel and tagged beach, dearmonday2015, inspiration, new zealand, Papamoa Beach, photography, sunrise, travel. Bookmark the permalink. Absolutely stunning, what a perfect place to be taken to on Monday! Goodness you make some beautiful stuff. These photos are stunning, and as someone who loves the coast, I could stare at them all day. I’ve been reading your other posts too and catching up – that beanie and scarf are beautiful and I just find what you make so inspiring. I’ve just (re) taught myself to knit and its slow going, but I’m going to stick with it. I still haven’t finished a long scarf I started a year ago! Thank you so much Pia, I really do appreciate your kind words, you are so sweet! I do find knitting is slower than crochet for me too, but keep at it, the feeling of finishing something like a scarf that you can wear is such a buzz!